It was on my friend Charlie Thomas’ 46-foot, ketch-rigged Cal, “Vagabundo,” that the sailing spirit slipped into my soul. After we hoisted the main and jib, Charlie shut off the engine. It was a beautiful Southern California July morning in 1982. 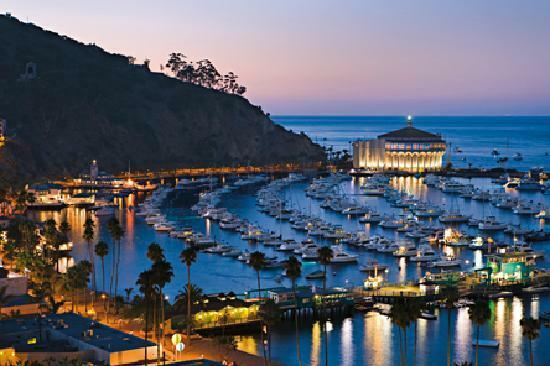 Perfect weather for heading from Newport Beach, California over to Catalina Island for the weekend. In that moment that the engine went silent, little did I realize that my life would change profoundly, although gradually, because of this experience. I had caught the sailing “bug” – and from then on I knew I had to get my own sailboat. I became addicted to salt water and a fresh breeze. I was amazed to be on a boat and moving without an engine! We were on a gentle beam reach (at the time I didn’t even know what the heck a beam reach was or any other nautical terms) and the only sound was the boat carving her way across the channel. The waves breaking away from the bow and cascading along the sides of the hull and disappearing behind in her wake. The sails making a slight ruffling noise every now and then. That was it, on the water, under the power of the wind. How magnificent and how free that first experience of sailing was. That day offered perfect conditions for a novice to be initiated in the sailing life. It was also my first awakening of being in touch with Mother Nature and all the wonders she offers. The stars at night at anchor and seeing Los Angeles lit up in the distance were unforgettable. I was hooked! 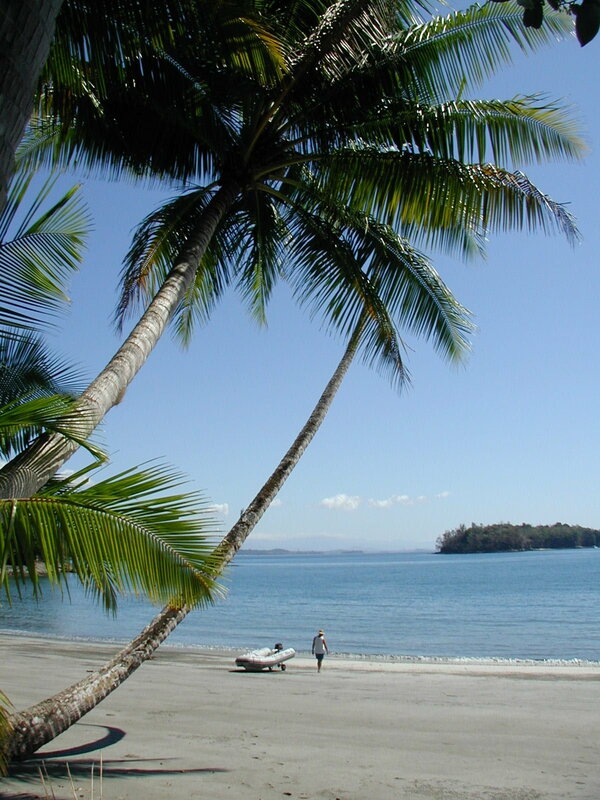 OK, so about now you’re saying – what does this have to do with moving to Panama? I know a lot of our blog readers are looking for tidbits about our experience of getting here and settling in to our new life, but we have also had many requests to tell more about our sailing experiences and what lead us to Panama. 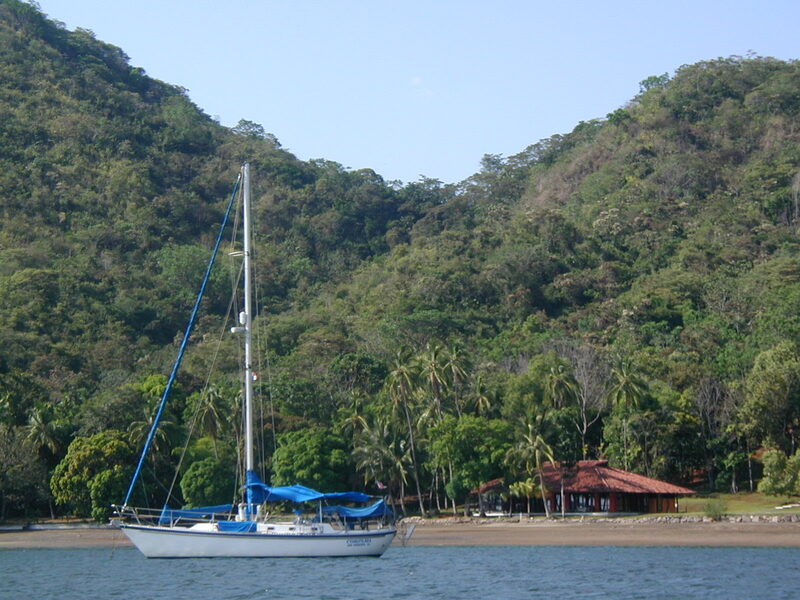 And to be frank, we would not be living here in beautiful Boquete, Panama without the wonderful three years we spent cruising aboard our Tayana 42 cutter-rigged sailboat, Compañia (the successor to Coquette). 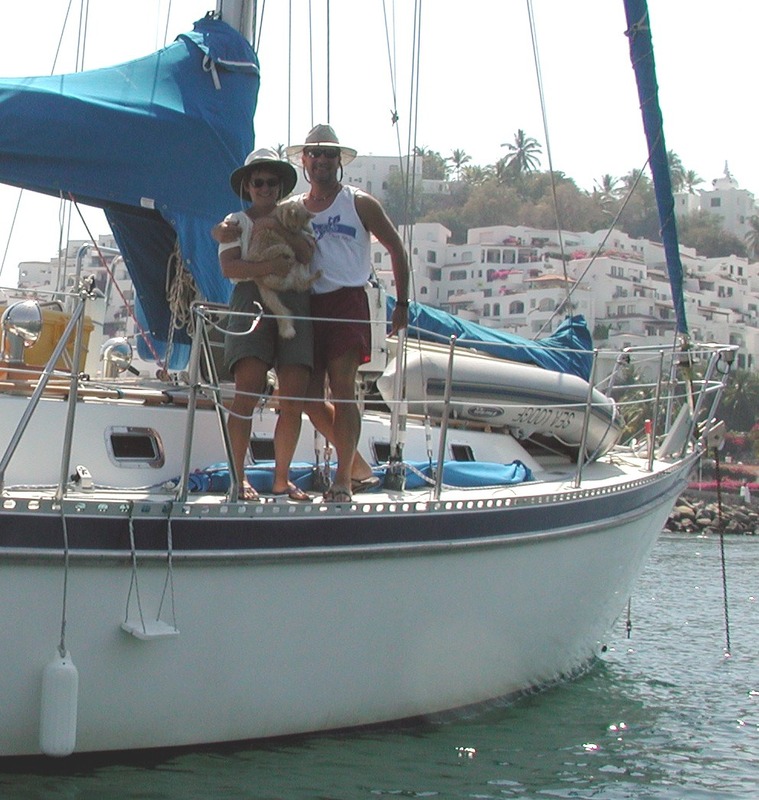 In September 2001 we left San Francisco aboard Compañia and headed south. It was only two weeks after 911, so the joy we felt was tempered by the terrible tragedy and the weird experience of the whole country being on alert for attacks on either coast. We experienced a massive naval presence (overdone as usual) from San Francisco all the way down to San Diego. things in the safety of your own sailing grounds before you take off for the big unknown. That means losing your steering or running aground, or under-reefing when you have too much wind, or having your boom crash in two on your deck with a ripped mainsail. Yep, we’ve been there and done ALL that and then some! There’s no Auto Club on the water once you leave the US, so you’d better know your boat and know what you have to do, and carry spare parts. Once you leave the U.S. you’re on your own, period. 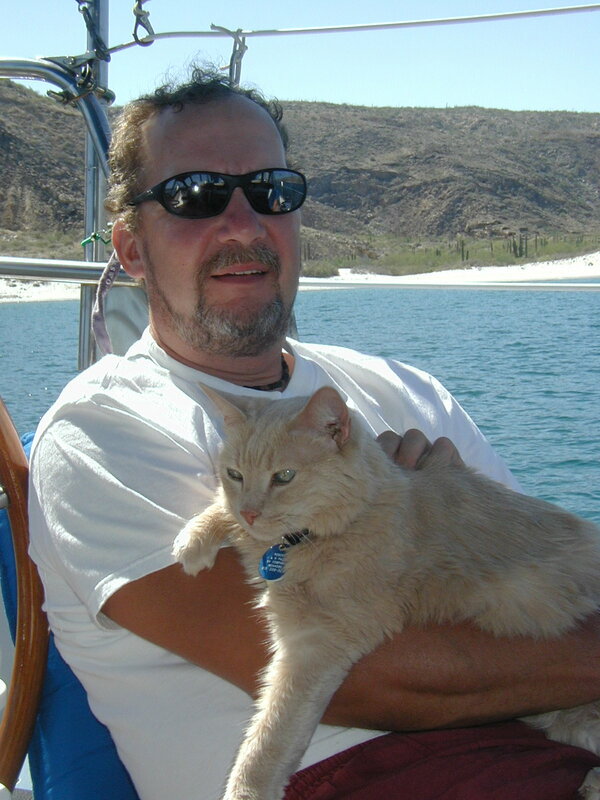 We stopped in every country in Central America, leaving Compañia and our beloved boat cat Roscoe in various snug anchorages or inexpensive marinas to explore each county by chicken bus and get a true sense for what each country had to offer. On the Pacific side, that included Mexico, Guatemala, El Salvador, Nicaragua, Costa Rica, and Panama. full attention! On the Caribbean side, we spent an amazing two weeks (not nearly long enough) with the Kuna in the San Blas Islands and another two in beautiful Portobelo, famous as a stopover for Christopher Columbus. After traversing the western Caribbean with stops in the Bay Islands of Honduras, the Colombian island of Providencia and the Yucatan in Mexico, we washed up in Tampa, Florida in 2004 — 7800 nautical miles later. Wow, what ride it was. It was the best three years of our lives and to this day it was a very cherished memory for us both. When we arrived in Panama on the Pacific side we spent time in the amazing western islands, and then anchored off the causeway in Panama City where we were able to watch all of the incredible ship traffic exit and enter the Miraflores locks. It was unforgettable to see the Bridge of the Americas lit up at night. Panama was getting under our skin, in a good way. We traveled inland, toured all the sites in Panama City (while doing our share of fixing things on the boat) and began to understand what was attracting us to this very small country that seemed relatively off the tourist radar. It was the Panamanian people with their generosity, relaxed attitude, and quick smiles, and the “Buenos dias” we’d hear from everyone as we walked down the streets. It was the lush green countryside, the mountains, incredible undeveloped beaches, and rainforest, and the pristine beauty of Mother Nature. You’re probably thinking, is Panama really as wonderful as all that? Well, every place has its warts and bad sides, no matter where you are. It’s all a very personal perspective. For us, Panama has become comfortable and feels right. After a lot of moving around, Susan has said, “Can’t we just stay in one place for a while?” Panama feels like a place where she can finally get her wish – but rolling stones that we are, who knows what the future holds? If life is an hourglass, lately I’ve been feeling like a lot of my sand is in the bottom part. I want to make the best use of each and every sand grain I have left, which means grabbing every amazing adventure we can, while we can. After two more trips back, one in 2010 and one in 2014, we were able to confirm that Panama would be our next home. We have arrived! 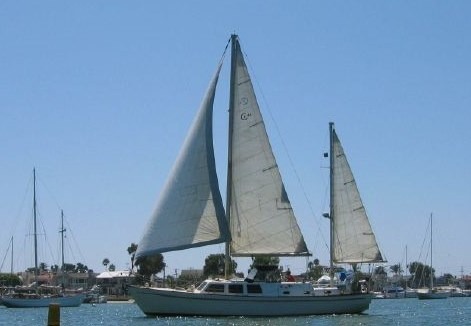 Next report: the pros and cons of three years aboard a cruising sailboat. Hope you stay tuned! What a beautifully written account of your journey John! I really enjoyed reading this one! Keep them coming! So looking forward to having you here in October! Thanks Schuttzie! Your comments are greatly appreciated. We hope to meet you soon? Wow! I loved hearing your perspecitive of your trip, John. It’s fun to ride along with you! Thank you my dear M & D.
Stay the course you goal is very close! love back to you two sweet people! Congrats on your move to Panama ! Looking forward to your next installment …the pros and cons of three years on a sailing boat! Just stumbled on this post – and thoroughly enjoyed reading it – what a wonderful experience.